When his stop came, the Imaam paused momentarily at the door, then he handed the twenty pence back to the driver and said: "Here, you gave me too much change." The driver with a smile replied: "Aren't you the new Imaam in this area? I have been thinking lately about going to worship at your mosque. I just wanted to see what you would do if I gave you too much change." When the Imaam stepped off the bus, his knees became weak and soft. He had to grab the nearest light pole and held for support, and looked up to the heavens and cried: "Oh Allah, I almost sold Islam for twenty pence!" Remember, we may never see the impact our actions have on people. Sometimes we are the only knowledge of Quran someone will read, or the only Islam a non-Muslim will see. What we need to provide, inshaAllah is an example for others to see. Be careful and be honest everyday, because you never know who is watching your actions and judging you as a Muslim. 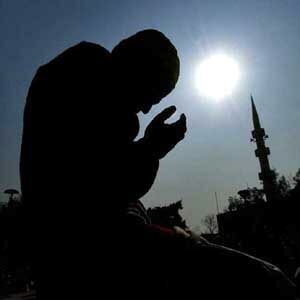 What has he found who has lost Allah, and what has he discovered he who has found Allah? They can never be equal; the one who has found Allah has found everything and the one who has lost Him has lost everything.